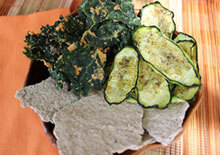 This is our raw nori nachos recipe using untoasted nori sheets instead of corn tortilla chips. 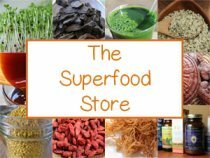 In recent years the raw food restaurant Chocolatree, based in Sedona, Arizona, has been producing and selling these packaged snacks with huge success. 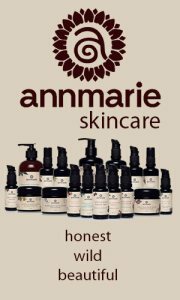 Well, we decided to try to make our own homemade-style and these are the results after a number of test trials. 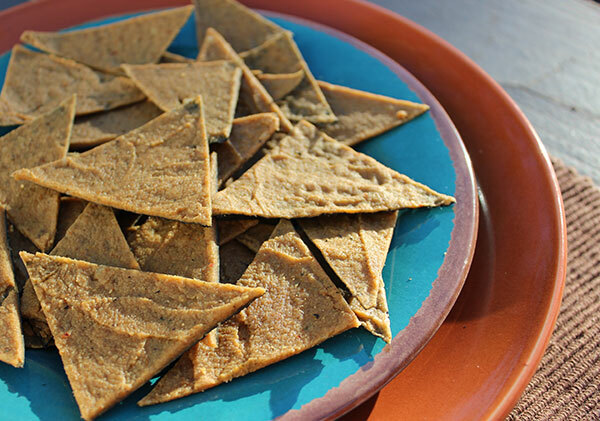 Some liken them to the raw vegan recipe version of the commercial tortilla chip "Doritos", often using the term "Noritos" to make the comparison. 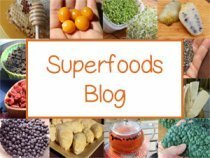 They are however not baked or fried or made with any kind of dairy products or artificial ingredients, nor do they really taste much like Doritos in our opinion... they are much, much better! To describe them accurately, these chips are a more resilient version of the popular "kale chip" variety, being more durable for travel because they don't fall apart as easily. 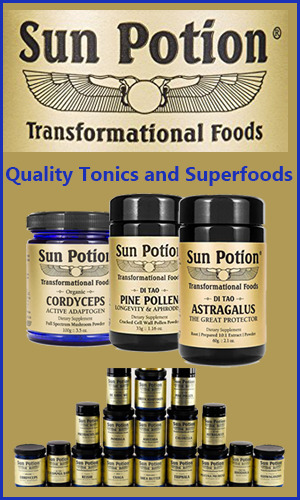 In addition, they make a great alternative to using cruciferous green leafy vegetables, like kale, which some people with an under-active thyroid might be looking to avoid consuming in large quantities. 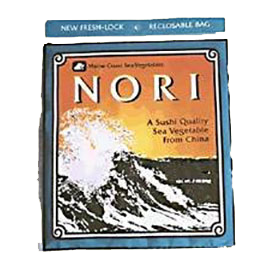 Nori seaweed is probably one of the most delicious tasting of the sea vegetables, next to dulse, the sheets have been used extensively in Japanese cuisine for centuries. 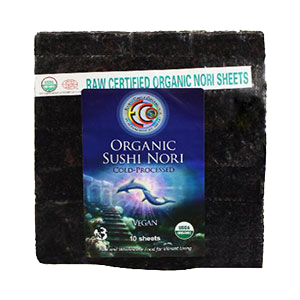 Nori sheets, not only make a convenient wrap for many of our favorite foods like homemade sushi, but also provide a scrumptious crunchy chip when spread with a nacho cheese sauce and dehydrated for a short period of time. 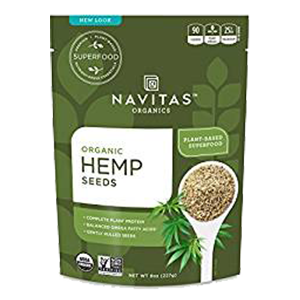 One of our all time favorite nuts to use for creating raw unfermented cheese is macadamia and hemp seeds, although cashews can also be substituted. 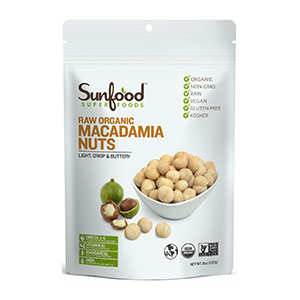 These nuts and seeds are slightly higher in fat content and provide a robust cheesy flavor, that doesn't involve a culturing process like our other seed cheese recipes. 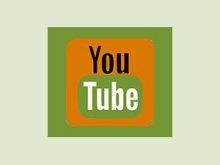 1) Create a Smooth Cheese Sauce - Blend your nut and seed cheese in a high speed blend to create a smooth cheese sauce like texture rather than a bumpy rough one. 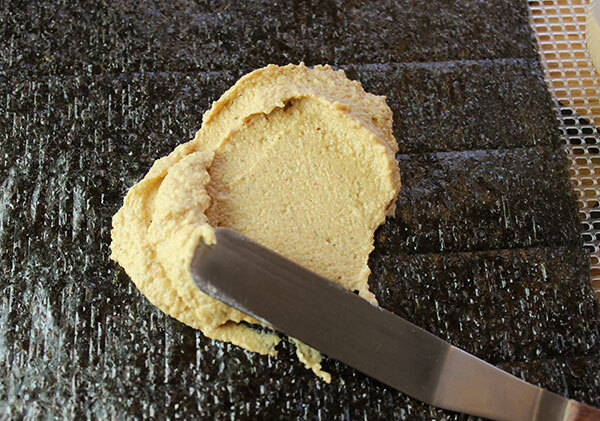 This not only looks much nicer, but also makes it easier to spread the sauce out evenly on the nori sheet. 2) Spreading the Sauce - Start in the middle of one whole nori sheet and spread the cheese all the way to the ends of the sheet, attempting to cover most of the surface area. 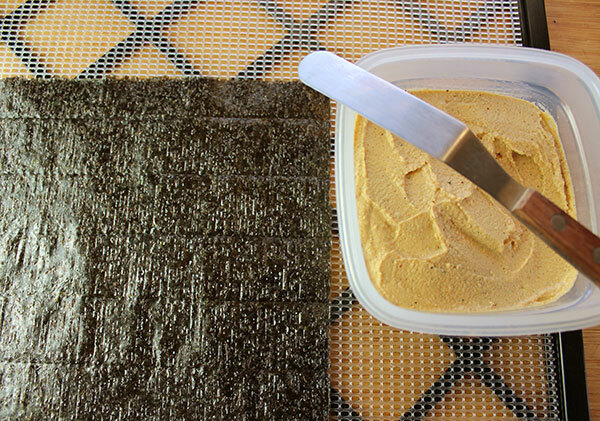 3) Work on the Screen - It is good to work directly on the dehydrator screen rather than having to transfer the nori sheet from your chopping board. This is because you can't really pick up the sheet easily after it has softened with the layer of cheese on top. 3) Thin Sauce Layer - We typically have found that we prefer a thin sauce layer rather than a thick one and generally try to stay within about a 2T per sheet limit, but this is largely dependent on personal taste preferences and what type of texture you desire. 4) Cutting Your Nori Chip Pieces - After the whole sheets have dehydrated for about 2 hours on a medium heat setting, they can be cut with a pair of kitchen scissors into triangular chip pieces. 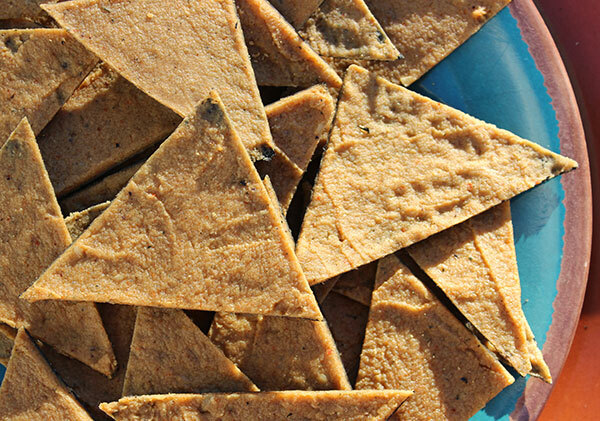 To do this cut from one corner to the next in a "X" shaped pattern and continue to cut in a similar fashion for the rest of the nacho chips. 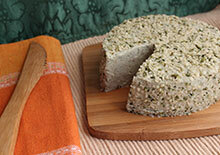 5) Slice Off Edges - You will notice that the ends of the nori sheet, as it dehydrates, tends to curl up slightly. You can leave them this way or cut the ends off, like we do, to provide a more chip-like appearance. 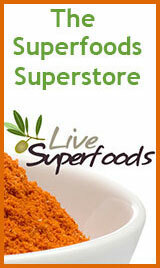 We, of course, continue to dehydrate and eat these end pieces as they are still very tasty. 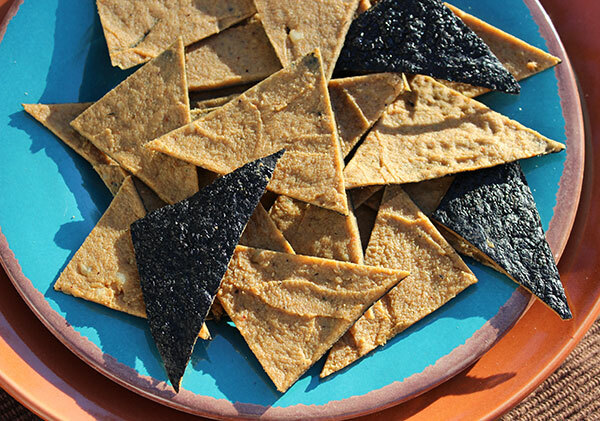 This nori nachos recipe usually takes about 10 sheets of nori and, when using an Excalibur dehydrator, initially takes up about 5 trays with two sheets on each one so they can lay out flat with enough space to dehydrate. Soak the nuts and seeds in orange juice and water for several hours. Place the un-strained nuts and seeds in a high speed blending device with the remaining ingredients and blend until smooth and creamy. 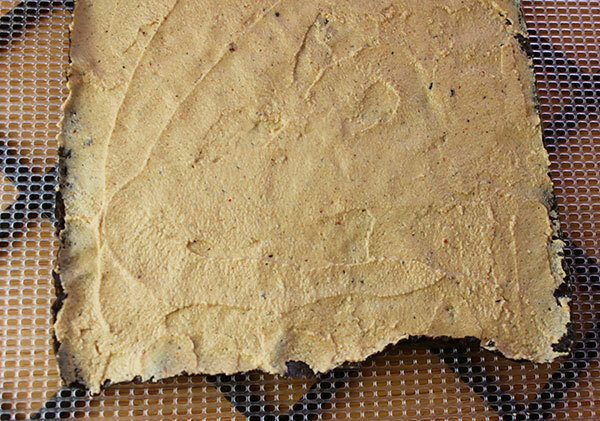 With a nori sheet directly on the dehydrator screen, spread the cheese sauce with a frosting spatula, using about 2-3T per sheet. We usually place the sauce on the rough side of the nori sheet as it tends to stick better, but it is not absolute required. It is good to try to remain consist however, with whichever way you decide to do it. With two sauced sheets on each dehydrator tray with screen, dehydrate for 2 hours and then cut into desired nori nacho chip pieces. Continue to dehydrate for another 4-5 hours or until a dry crisp texture is achieved. The thicker the sauce the longer it will take to dehydrate. 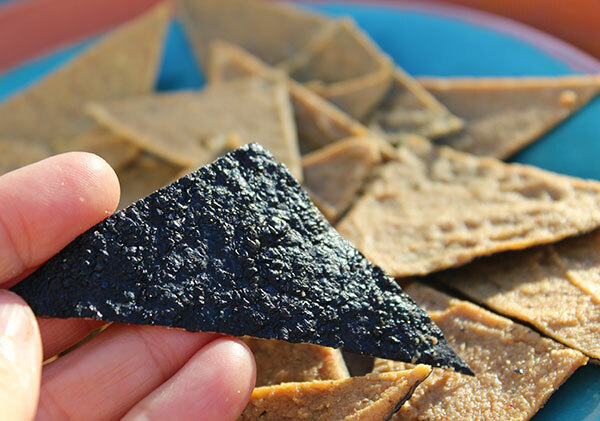 This dehydrated nori nachos recipe can be stored in an air tight container and will last for many days or even weeks when stored in a cool dry location.